With the rise of digital media, you’d think it would be easier than ever to be heard. Yet, most messages fail to cut through the clutter. Consumers are overwhelmed. Ads alone aren’t effective. And you can’t just churn out content and connect on every social network. To stand out today, you need to start with your brand. 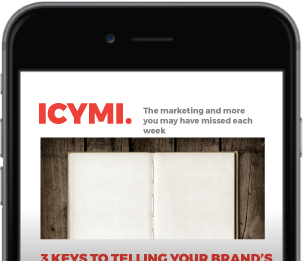 The world may be growing louder, but with Brand Now’s big ideas and practical toolbox, you can break through the noise–and win a place in the hearts and minds of your customers. ORDER BRAND NOW & GET EXCLUSIVE DIGITAL EXTRAS! Simply order the quantity you want from Amazon, Barnes & Noble, or any of the booksellers noted here and forward your receipt to [email protected] to access your extras. A one-hour LIVE Brand Now webinar for your company featuring Nick Westergaard. A 60-minute 1:1 consulting call with brand strategist Nick Westergaard. 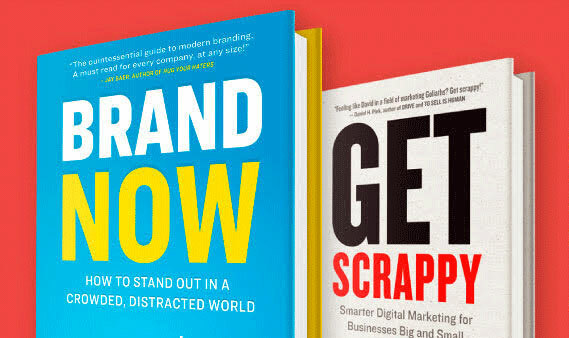 All full-fee speaking engagements booked prior to May 3, 2018 will get 50 free copies of Brand Now. 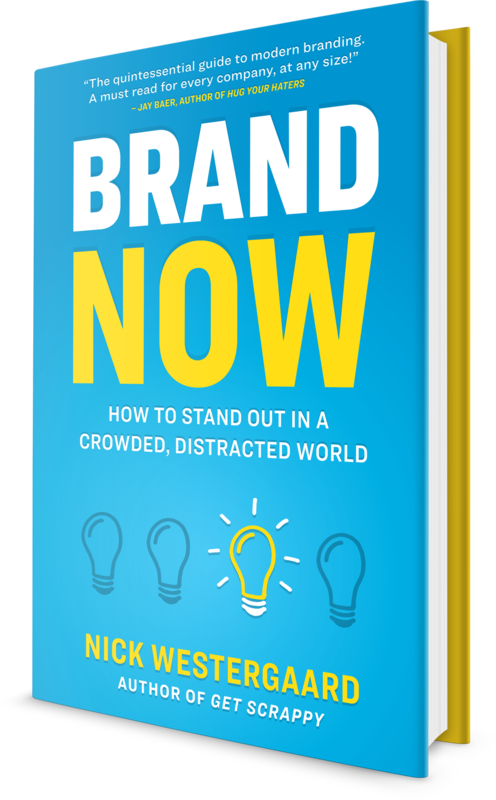 If you purchase 500 copies of Brand Now, Nick will speak for free at your conference or corporate event (speaking fee waived; travel including airline and hotel covered by event). Are you feeling like David in a field of marketing Goliaths? Get scrappy. Organizations of any size can use the principles in this book to stretch their digital marketing reach.